The Long Term Care Insurance Virginia Partnership program is an alliance combining private long term care insurance coverage with special access to Medicaid. The Virginia Long Term Care (LTC) Partnership program provides residents of Virginia the ability to shield a portion, or all of their assets, while still being able to qualify for Medicaid. This Medicaid qualification would be in case their long term care needs extended beyond the amount payable by their private long term care insurance policy. The private long term care insurance companies offering LTC protection in Virginia are required by the Long Term Care Insurance Virginia Partnership to offer specific policy benefits. This mandatory level of benefits may help you choose the specific level of benefits included in your long term care insurance policy. Section 6021 of the 2005 Deficit Reduction Act allows for Qualified State Long Term Care Partnerships. The private long term care insurance companies providing insurance in Virginia, in conjunction with the Long Term Care Insurance Virginia Partnership program, provide the long term care insurance policies known as “Partnership policies”. How Many People Need Long Term Care Services? According to the U.S. Department of Health and Human Services, about 70 percent of people over age 65 will need long-term care services of some type during their lifetime. The need for long term care services is not limited to seniors, 40 percent of people currently receiving long term care services are between the ages of 18 and 64. Long term care insurance planning is important, because traditional health insurance and Medicare do not pay for most long term care services. To obtain long term care insurance individuals must have reasonably good health. This health qualification aspect makes it important to plan ahead. Generally speaking, this means acquiring your long term care insurance protection while you’re in your 50’s and enjoying reasonably good health. Virginian’s need to know the cost of long term care services when planning ahead for future long term care needs. The current cost of care in Virginia, and future cost projections, will tell you with reasonable certainty how much long term care protection to include in your retirement plan. A comprehensive study on national long term care costs is conducted by LifePlans, Inc. for the John Hancock Life Insurance Company. Their most recent Cost of Care Study surveyed over sixteen thousand long term care providers in all fifty states. The John Hancock Cost of Care Calculator provides an estimator for future long term care costs adjusted for inflation allowing you to better pinpoint future long term care costs in Virginia. John Hancock long term care insurance is underwritten by John Hancock Life Insurance Company, one of the largest life insurers in the United States. Another major study on the cost of long term care services is conducted annually by the Fortune 500 company, Genworth Financial. The Genworth Financial 2018 Cost of Care Survey also analyzed national long term care costs by surveying more than 15,000 long term care providers in 440 regions. A Long Term Care Insurance Virginia Partnership program insurance policy premiums will be similar to other LTC policies that have similar benefits. Consumers should be aware that the mandated inflation protection features of Long Term Care Insurance Virginia Partnership policies can limit the choices available when designing your insurance policy. For example, some individuals may not want to include inflation protection but a Partnership policy does not provide this flexibility. Therefore, consumers advised to compare Virginia LTC Partnership policies to non-Partnership policies to clearly understand the differences. 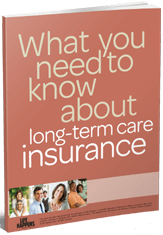 An insurance agent specializing in long term care insurance can clearly illustrate these differences. For those purchasing a qualified Long Term Care Partnership policy in another State, under their Long Term Care Partnership program, reciprocity means they will not lose their asset protection if they move to Virginia. The State of Virginia would also recognize accumulated asset protection for Medicaid qualification if the person were already receiving long term care benefits from their Long Term Care Partnership policy, before moving to Virginia. Following is an excellent resource on Long Term Care Partnership programs in Virginia and other states. How Much Does LTC Insurance Cost In Virginia? Get Virginia Long Term Care Insurance Quotes! Price comparisons customized for your specific needs from respected companies like Genworth Financial, Mutual of Omaha, Transamerica, LifeSecure and other top providers. We also provide detailed comparisons to the AARP LTC insurance offering. Benefit comparisons of each company’s insurance policy. This side-by-side comparison examines both the similarities and differences of each long term care plan.